Presenters often use the phrase “Does that make sense?” to gauge audience understanding. But this can convey a speaker’s uncertainty and signals that the audience might not comprehend or appreciate the content. To be an effective speaker, eliminate useless words and phrases like this one. Since you often include them unconsciously, record your next speech (try the voice record function on your smart phone). Play it back and listen for where you added fillers. Repeat this process several times and soon enough you’ll start correcting yourself. And if you want to check whether your material is getting through, try the more concrete “Do you have any questions?” instead. Adapted from "Never Ask 'Does That Make Sense?'" by Jerry Weissman. There are times when I just can't help myself. A large number of the accounts that I follow on Twitter either have the word "tech" in their name, share the latest inroads in technology or exist only to make my life more fun … make that easier thanks to today's technology. Some have been nothing more than a flash in the pan but others have become the things I cannot live without. 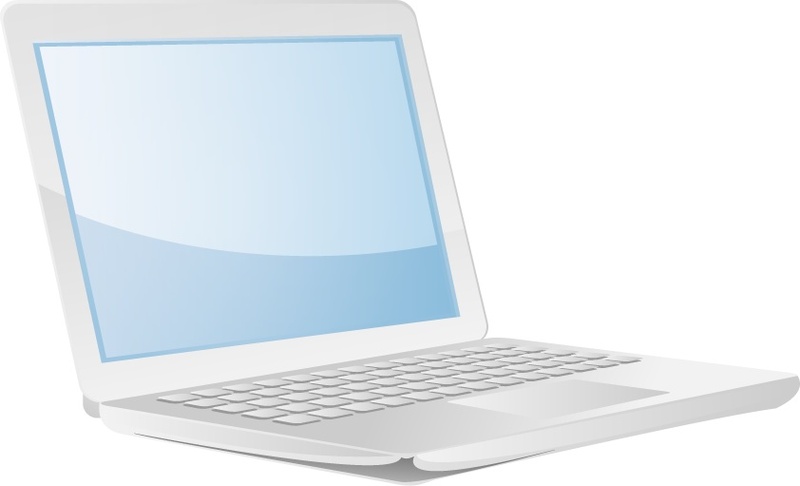 One of my favorites is Dropbox, an online storage utility that allows you to make your files accessible from virtually anywhere there is an Internet connection. Dropbox has allowed me to enjoy my love of family history without having to email information to myself or keeping track of what flash drive I was using when I made that last trip to the court house. Here's how it works. After installing the application and connecting to the server, Dropbox works like any other folder on your computer or mobile device allowing you drag and drop to move files around. Any files or folders that are uploaded to Dropbox, either by you or someone you are sharing the files with, are immediately synchronized in your account. As if that isn't enough of a wow factor, Dropbox keeps track of every change that is made to the contents of your storage, instantly updating to all the computers that are linked to the account. You can even undelete files that you may have accidentally erased. But where Dropbox moves to the front of your list of "favorite go-to" is the way it allows you to share whatever you want with other people. Every individual folder can be shared with other people and every member of a shared folder will be able to add, edit and delete the contents but will not have access to anything outside of that specific folder. There is also a public folder that allows you to share files with non-Dropbox users through the use of a hyperlink. Oh …. did I mention that Dropbox is free for Windows and Mac? You can share 2GB of your files for free or upgrade to Dropbox Pro for 50GB of storage. Refer a friend to Dropbox and you and your friend can get an additional 250 MB of storage. As with any cloud-based service, Dropbox is a great source for storing non-confidential content. The following video demonstrates how easy it is to use Dropbox. Who knows? It may be your next "cannot live without." Is This Your Social Media Sign? A few weeks ago I was discussing the endless advantages social media could offer my friend's volunteer woman's organization: why they needed to be involved and why my friend should convince the organizations "CEO." "Yup, I can see the benefits and opportunities and it will work for us but only if our leader is smart enough to get it - otherwise social media is more of a liability." Now that is an interesting observation. Unfortunately, it's the truth. Every business, regardless of its niche, can find value in social media but that doesn't mean social media is for everyone or that everyone should be engaged. So … how do you know? If you answer yes to any of these questions: jog, don't walk, away from social media. You have no social skills. Social media is about people. If you never had friends as a child and you can't deal with people then maybe social media isn't for you. 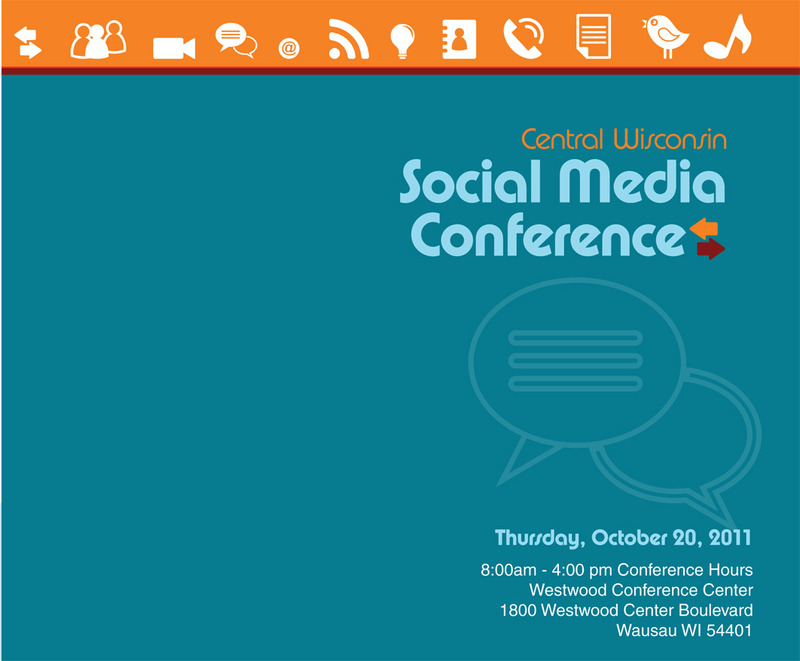 If you don't like to talk to people, get someone else to handle your social media services. Your customers will thank you for it. You have no sense of humor and can't handle criticism. If you can't laugh at yourself then you don't belong on the Internet. Success in social media means being able to embrace the weird and quirky. You need to show your fun side to get people to like you. You don't want to be seen as the dweeb of the Internet - it will target you as someone who can virtually have their lunch stolen. Just add water! If your definition of social media is creating a blog or an account on Facebook and then kicking back and waiting for the leads and conversations to pour in, social media is not for you. If you are not going to create a marketing plan and dedicate resources to that plan then don't waste your time setting up social media accounts. You think social media is the new way to sell. If you don't think it's necessary to create a relationship with someone before you sell them on your company or product, social media is definitely not for you. To be successful at social media, you have to hear what is being said about your company or your brand; that means listening before you speak. How will you know what to give people if you don't know what they want? We've all been target marketed by our friends which is acceptable in the world of social media. However, shouting your message to a room full of strangers is not. And speaking of Selling …. If you are shouting your sales message, not listening to your audience, chances are you consider success in social media as a numbers game. Your goal is to have 3,000 followers on Twitter, 10,000 Facebook fans and enough RSS subscribers to match your telephone number (including the area code.) If you are this person then you think the higher the number, the more successful you look. Savvy people on social media need only spend a few minutes looking at your list of followers or fans to determine if you have garnered followers because of meaningful content or just casting a net out into the social media waters. It does not make you look like you know what you're doing and it just annoys everyone else. Pay No Attention To That Man Behind The Curtain. When Toto unmasked the great and powerful Wizard of Oz, Dorothy realized he was incapable of granting her wish to return home to Kansas. Companies who succeed in social media are the ones who don't hide behind the curtain and who bring relevant content, conversation and media to the party. Don't hire someone to blog as your company president or use Twitter to push your RSS feed: that's using social media to be a tool and you're missing the point. Your Social Media Strategy is Twitter. Twitter is a social media tool. So are blogs and Facebook. They are useless unless you have a strategy about how to use them. You don't decide to enter a marathon and expect to be able to run 15K when the day of the race arrives without any preparation (see "Just Add Water" above.) 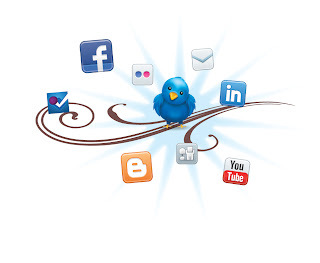 Social media is not Twitter but Twitter can be used to accomplish your marketing strategy. 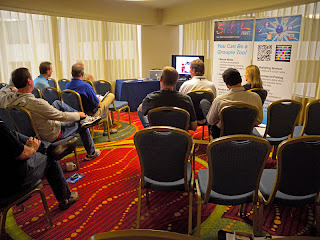 Social Media for Printers: Ready, Set, Blog! 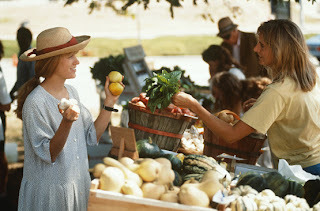 Social Media: If You Build It, Will They Come? Bill Schrader is credited with saying, "Almost overnight, the Internet's gone from a technical wonder to a business must." During the last two years, businesses of all sizes and categories have come to the realization that social media is no longer something they can choose to engage in, having a social media presence is a requirement. As Facebook and Twitter begin to play a bigger part in the consumer experience, it's important that businesses understand how it can affect their business. It wasn't very long ago that your customer's comments and complaints were limited to reviews on websites. In today's world, social media reaches far beyond the website into 'real time' customer experience. So how can a company use social media effectively to improve customer service? The most important thing social media can do for a company is to allow you to monitor what's being said about your product and customer service. 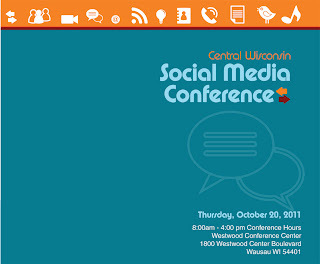 Social media sites create an environment for a business to engage in an open conversation. When a customer has left a comment on your Facebook page about a positive experience or encounter, take the time to thank them. Customers prefer to interact with a company that shows it is concerned and takes time to acknowledge a compliment. Likewise, if someone tweeted about a problem with your products or service, your response may involve sending a direct message to the customer as well as a reply for others to see that you have read the comment, are concerned enough to continue the conversation in an effort to resolve the issue. Using social media successfully will require effectively listening and engaging with your customers but goes beyond seeing what is being said about you and your services. It will allow you to better anticipate your customer's needs. The new redesigned website of Wildwood Wildlife Park is live on the Internet with a new look and website structure that will brings a user friendly design with improved readability to the park's long-time and new guests. 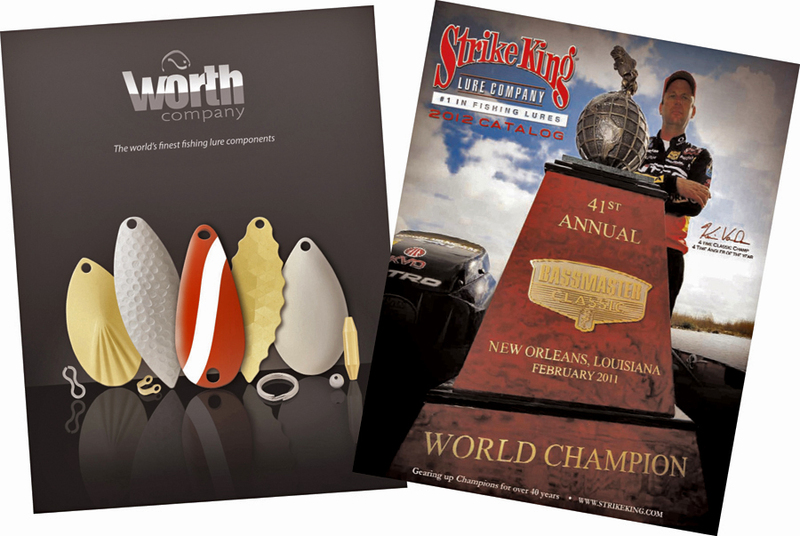 "The new look is lighter and a lot more user-friendly than the old design," says Al Scherwinski, Spectra Print Corp. Creative/Marketing Director. 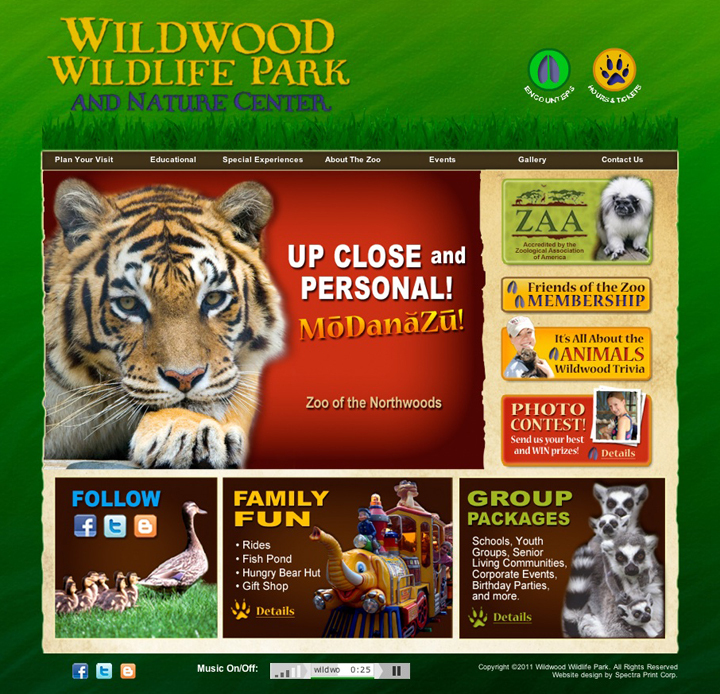 "The site's design features vibrant colors and bold graphics, updated photographs increasing the fun factor which reflects the Wildwood Wildlife Park experience. 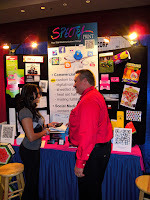 Our Web site visitors are going to love it." Among the features on Wildwood's homepage are the 'flash tracks' taking visitors quickly to Encounters and Hours & Tickets buttons. The site is designed to provide quick and direct access to all of the resources guests to the park are looking for. "We wanted the site to reflect the park's dedication to providing their guests with up close and personal experience, interacting with the animals," says Scherwinski. The new face of the Wildwood Wildlife Park website is the handiwork of the design and marketing department of Spectra Print Corp., Stevens Point, WI. 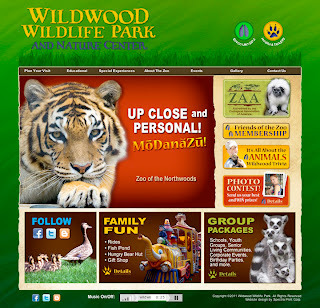 The online resources are as diverse as the friends and guests of the park; from the educational and volunteer opportunities offered to visitors to the special experiences guaranteed to create unforgettable memories the web site and the launched Wildwood Wildlife Park blog support of the park's mission to provide an exciting zoological collection and education facility for all visitors. "The new design was created specifically for Wildwood Wildlife Park's online visitors," says Scherwinski. "We encourage guests to submit photos and videos. Current exhibits, news and stories will be constantly updated allowing guests to plan their visit to the park and make it a memorable experience." Showalter's and Jackson's Lodges & Outposts, two of Canada's premier lodge and outpost services have selected Spectra Print to coordinate, develop and produce their new web sites. 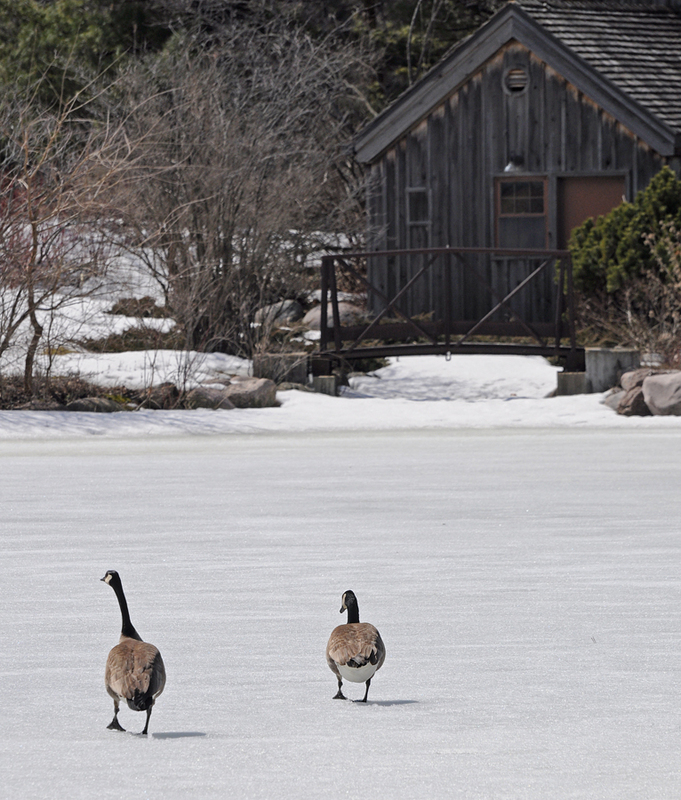 "Jackson's and Showalter's are among the top Canadian destinations for customers looking for that unique wilderness experience. We feel [Spectra Print] is uniquely qualified thanks to our continuing sponsorship and support of All-Canada as well as other outdoor account experience," said Al Scherwinski Spectra Print Marketing Director. "We've demonstrated our ability to understand the needs of the lodges, all of whom offer exceptional opportunities to their customers for the most incredible experiences of their lifetime an look forward to working with Jackson's and Showalter's." Jackson's Lodges & Outposts is a family-operated business based in Lac du Bonnet, Manitoba, providing their guests with the finest fly-in fishing and hunting excursions for close to three decades. Jackson's operates their own air service "Adventure Air" with a fleet of highly maintained aircraft making it possible to provide easy access and transportation to their facilities in northeastern Manitoba's provincial Parks: Atikai, Nopiming and Whiteshell. It is Manitoba's wilderness beauty at its finest. Showalter's Fly-In Service & Outposts has been associated as one of Canada's premier fly-in & outpost service for over 25-years, helping guests realize their dream vacation. Whether it is a fishing vacation to a remote northwestern Ontario wilderness lake, a black bear hunt in Ontario's Red Lake area or a guided moose hunt 135 air miles north of the Showalter's base, you'll want to return for another version of your trip of a lifetime. 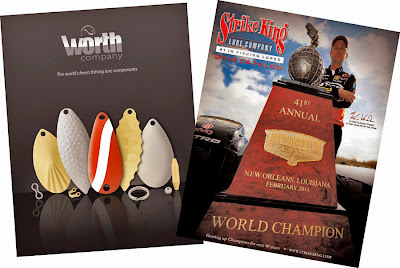 Both web sites are tentatively scheduled to be live in the Fall of 2011. Spectra Print Corp Acquires The Journal Printing Co.
Stevens Point, Wisconsin (May 2, 2011) - Spectra Print Corporation, a leader in sheet-fed offset and heat-set web printing, announced today that they are acquiring the Journal Printing Company of Stevens Point, Wisconsin, to further strengthen their position as a major supplier of offset printing and business forms. 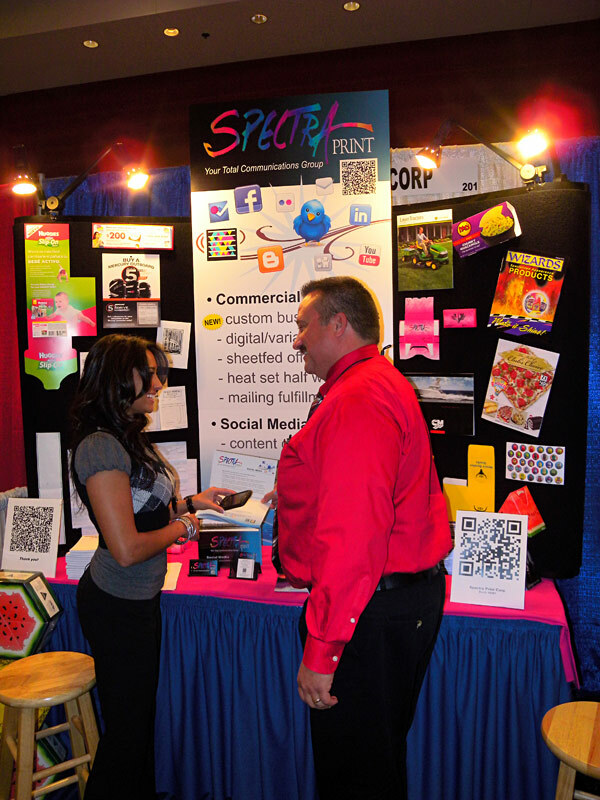 Spectra Print will acquire the account base and equipment of the Journal Printing Company, and will hire most of their employees. “Three generations of our family and the Cashin family have worked side by side producing quality printing here in Stevens Point. We have nothing but the utmost respect for the Cashin family and the employees of the Journal Printing Company, and we are excited to join forces,” said Eric Hofmeister, president of Spectra Print Corporation. This acquisition will result in greater efficiencies and will offer more services to the customers of both companies. "Together this will make us a much stronger and better printing company than we would have been as seperate companies,” Hofmeister added. Spectra Print Corporation will not be utilizing the former Journal Printing Company’s facility in Stevens Point, Wisconsin. 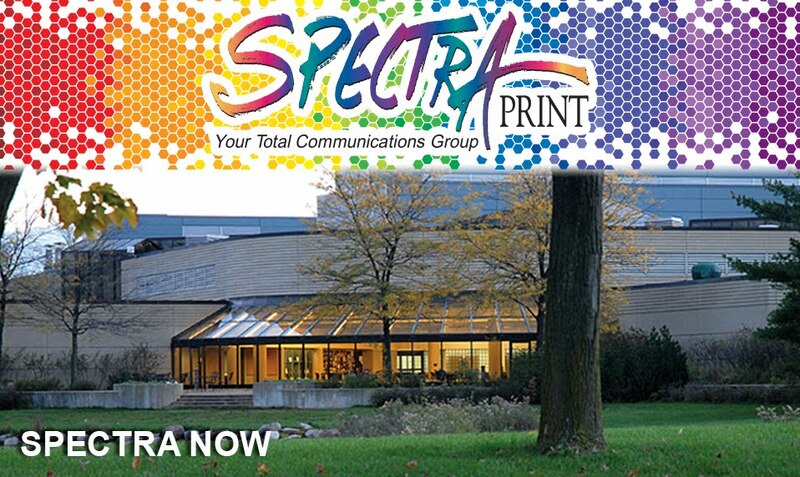 All operations will be combined in the headquarters of Spectra Print Corporation located at 2301 Country Club Drive, Stevens Point, Wisconsin. I really don't need to know that Susie is on the deck enjoying ice tea. Twitter is nothing more than idle chatter. I text my friends and clients/customers so I don't need Twitter. Twitter doesn't make sense to me. I don't know if Twitter is right for me. Is Twitter for everyone? A good question and one that eventually gets asked by individuals and companies who are venturing into the Twitter community for the first time. As you stare at your Twitter homepage with a few followers and, literally, a handful of tweets to your credit, you find yourself wondering … Is Twitter really for me? There appears to be no middle ground when it comes to Twitter; you either love or hate the blue bird. There are some who say it has to do with your personality type. Some claim the platform favors outgoing people but many introverts are quick to say they love Twitter as it allows them to connect and build relationships on their own terms. 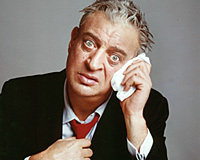 It seems that Twitter has become the Rodney Dangerfield of social media but before you dismiss it completely, consider showing the blue bird a little love. None of my customers are using Twitter so this is just a big waste of my time. There are many other benefits to Twitter beyond simply making sales leads. Even if your customers aren't on Twitter - yet - the platform is a powerful way to learn, connect with your peers not to mention keeping track of what the competition is up to. Imagine yourself getting in front of the curve, becoming familiar with Twitter before your customers start asking you about its benefits. Is there a place for Twitter in every organization and company? Lawyers, financial managers, medical professionals, caregivers and defense contractors may have strict regulatory limitations regarding information they can discuss in public so Twitter may not be appropriate. Keep in mind that Twitter is a form of publishing. 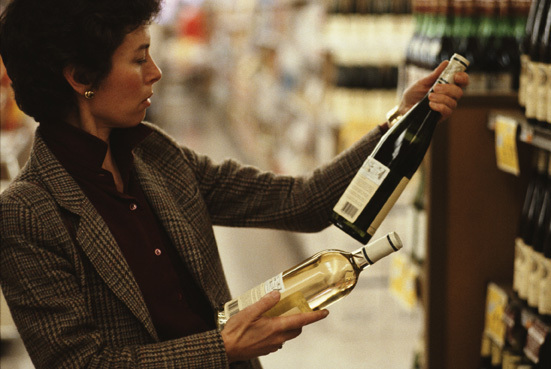 Which brings an interesting point to consider: Where do your customers get their information? People are jumping on the social media train in record numbers and are spending inordinately enormous amounts of time there. Ask any business owner what their number one marketing and business issue is and chances are they'll tell you "social media." Aside from all the window-dressing, at its center, Twitter is a business networking tool - something many companies and individuals don't understand. If you view Twitter as just another way to broadcast company press releases or as your social media sales tool, you're missing the point. You wouldn't attend an industry conference or a chamber meeting or event and read press releases out loud would you? Of course you wouldn't. 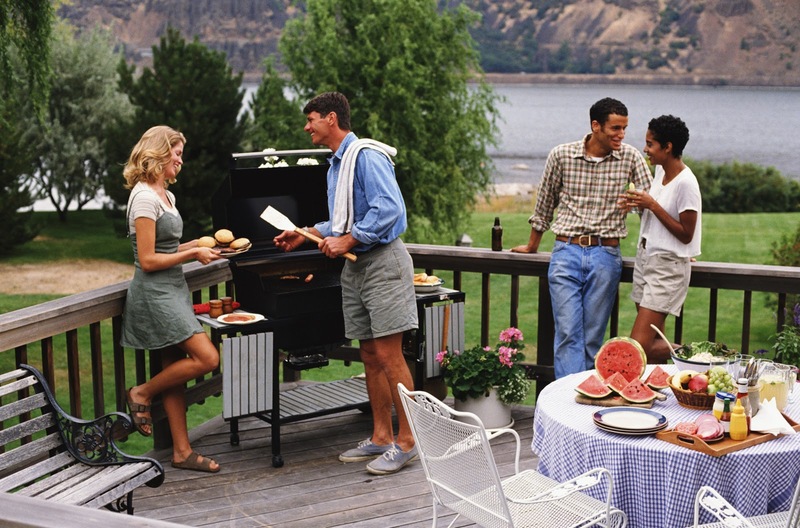 You attend these events to seek out people to connect with, discuss subjects that you both have a common interest in and look for ways to work together. 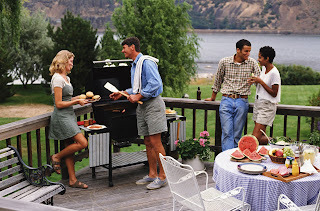 There's a reason why a social time is offered following an event. Know your voice and be true. Everything you say on social media should sound like your company or brand. Good content isn't fake and it doesn't make promises it can't keep. It has personality which is what makes it engaging. Individuals actively engaged and connected on the social media network will sniff you out if you are pretending. When networking, the successful relationships are built on trust and friendships, so it is perfectly acceptable - and welcome - to let others know a little bit about what is going on in your life; sports, charity and family. Tweeting what is interesting to you on a daily basis, as long as its appropriate and professional, will add to your Twitter success. They are everywhere ... those social media icons that direct us into the social media atmosphere. By now we're familiar with social media logos. You know what it means to "follow" and "join the conversation" and you've overcome your aversion to signing up for notifications. That is until we are asked if we want to subscribe to RSS? RSS, which stands for "Real Simple Syndication" or "Rich Site Summary", is a simple way of bringing content from an outside source directly to you! The following video will help you understand the mystery behind RSS in Plain English. Now you're back on track with another social media tool in your arsenal. Honestly, it was here the last time I looked. Really! And just when exactly would that have been? Ok! Ok! You look over that way and I'll have a look see over here. You know, I might have been mistaken. Maybe that was last year. So, what do you think? Another two, three days before it's open? 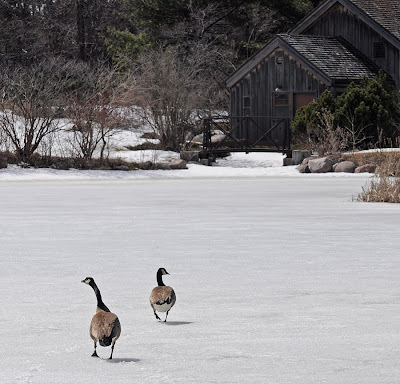 "You Know Winter's Been Here Long Enough When ..." Digital Images. Copyright (c) 2011 Al Scherwinski. Text Transcribed Verbatim. Can I Scan QR Codes Without A Smartphone? Does it seem as if everyone in the world has a Smartphone except for you? Sure you've had your eye on that iPhone or the latest Android technology but you're not quite ready to make the leap to a sleek new app filled phone. Does that mean are left out of today's technology loop and won't be able to take advantage of accessing the links hidden in those QR Codes? ScanLife has introduced technology that brings barcode scanning to all mobile phones with MMS capabilities, no application needed. ScanLife's new "Scan & Send" feature supports application-independent scanning of QR Code, Datamatrix, EZcodes and UPC barcodes. 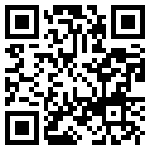 Users can now simply snap a photo of a barcode and send it via MMS to 43588 or e-mail to scan@scanlife.com to be decoded. Images are decoded similar to applications for iPhone or Android apps but the user is sent an MMS message with actions associated with the code, including links to product information, photos and phone numbers. According to ScanLife CEO and president Mike Wehrs, "Scanbuy's technology now allows a brand, agency or retailer to reach at least 80% of today's camera phone users with industry standard barcodes. The user experience now ranges from taking a picture and send it (a seven keystroke solution) to a zero click, very fast recognition when using the ScanLife app on the over 190 models of phones that are supported." The only downside is that the Scan & Send MMS feature is limited to U.S. users on Verizon, Sprint and AT&T, though the e-mail option will still work for camera phone owners on other carriers.